It has rained consecutively for about two weeks. This is the first morning I have been able to sit outside and blog. I am grateful for the rain. You can tell by my pictures that everything is verdant, lush and thriving and unlike some areas, we are lucky to be receiving rain. I’m just happy that this particular morning it isn’t raining. I was the first to arise in my household. It’s a holiday weekend in the US; it’s Memorial Day. My lovely family is taking advantage of the extra-long weekend and sleeping in. I on the other hand, love to get up before everyone else and go for a run or sit in quiet and reflect and write. 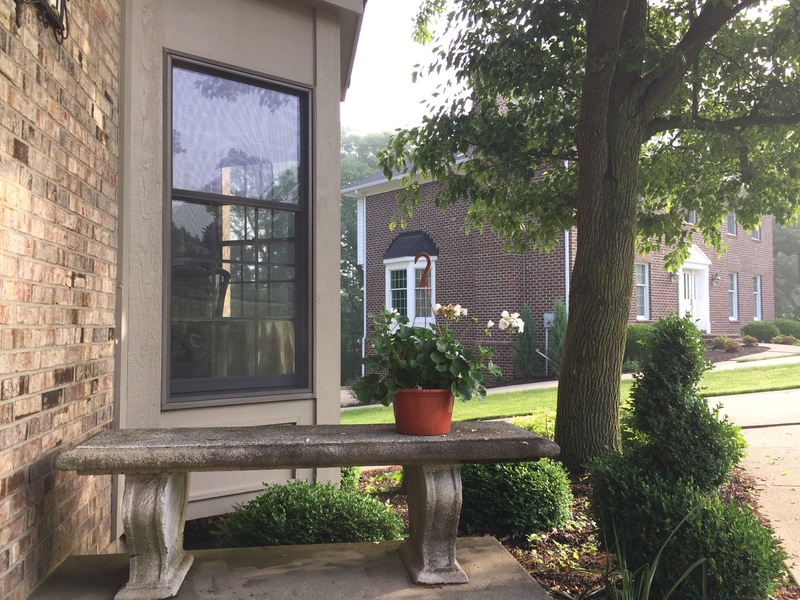 I’m sitting on my front porch enjoying the slightly cool, fresh air and gentle breeze while being serenaded by the variety of birds singing their morning song. It is glorious! This is one of my favorite things to do. It is a form of meditation for me and I feel connected with nature. It is times like this that I find many things to be grateful for and I feel inspired to write in my blog. I also find it clears my head and helps me focus on my goals. I understand why many writers choose nature to gather their thoughts and start their creative juices. 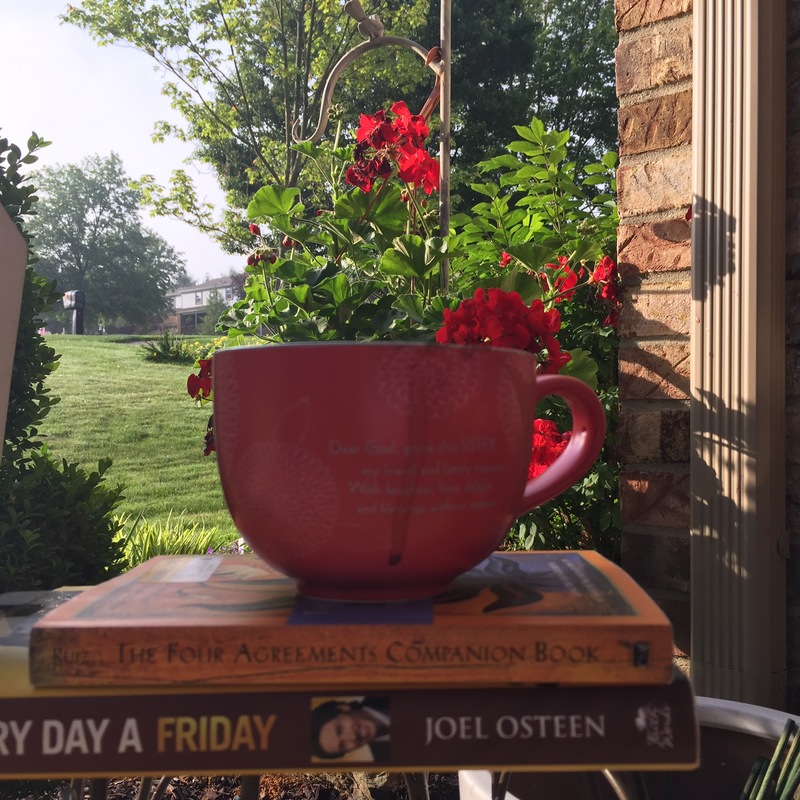 I am thankful for this beautiful morning and my quiet time to sit with nature, enjoy my cup of coffee and share my special time with all my readers. I’d love to hear what inspires you? Where do you go to collect your thoughts, meditate or write. Please share in my comments.